Next we go north to the Settle to Carlisle line, and a model in ‘N’ of the high moorland sections of the route. 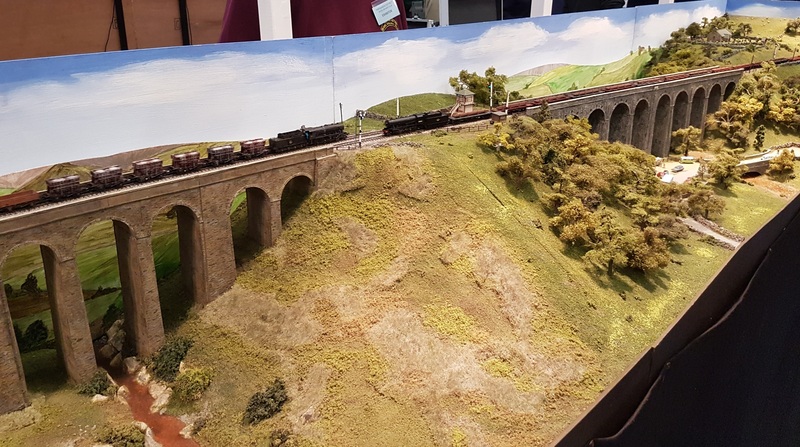 The layout represents the section of line from Blea Moor Tunnel, across the Dent Head and Arten Gill viaducts, and into Dent Station. 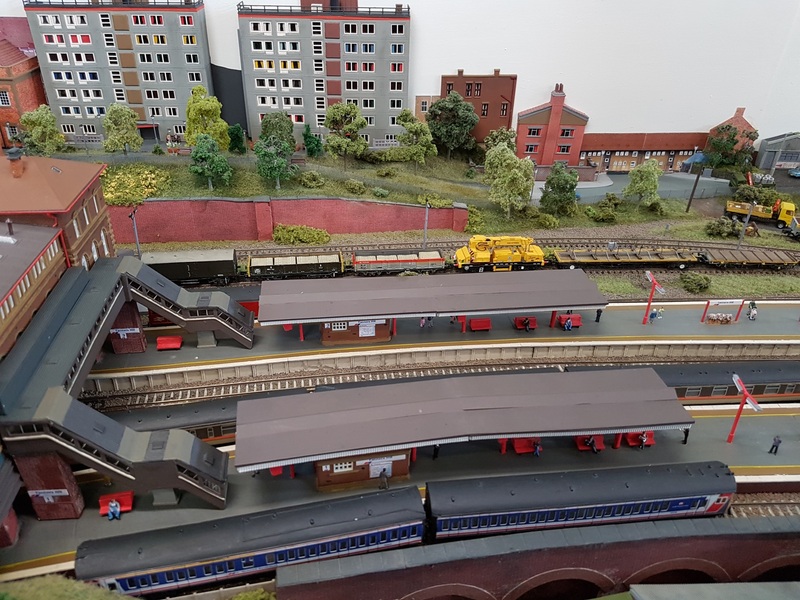 Also in ‘N’ was Tanners Hill, a compact layout, but recognisable as the area around New Cross in Network SouthEast days. 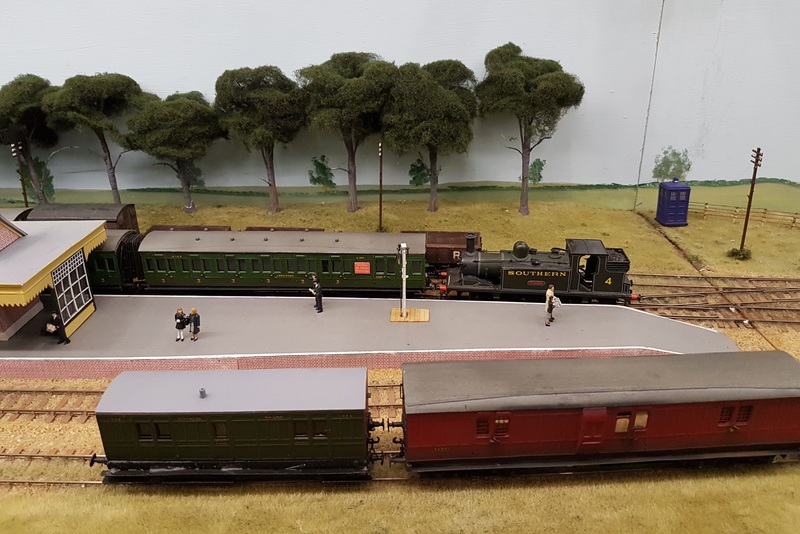 A favourite of mine was Merstone and Ventor West, in OOFS, and modelling the Isle of Wight in Southern Railway days. I’d seen Merstone before, but this was, I think, the first time the pretty Ventnor West terminus had been added in its correct location at the end of the branch. The two stations had been built by different people, and linked for the show. 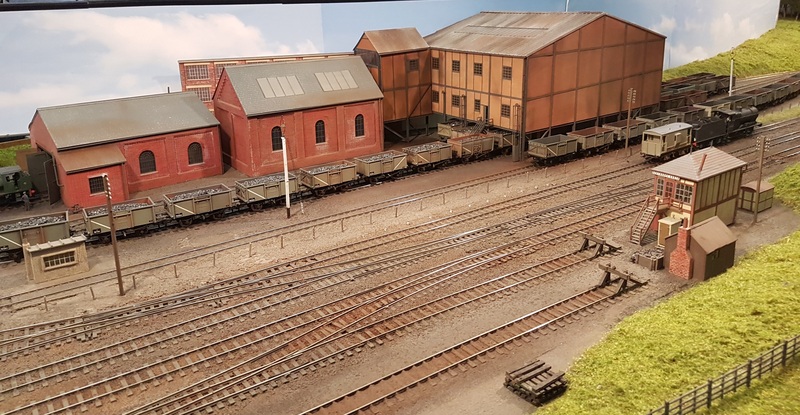 The final three layouts today are industrial and colliery lines. 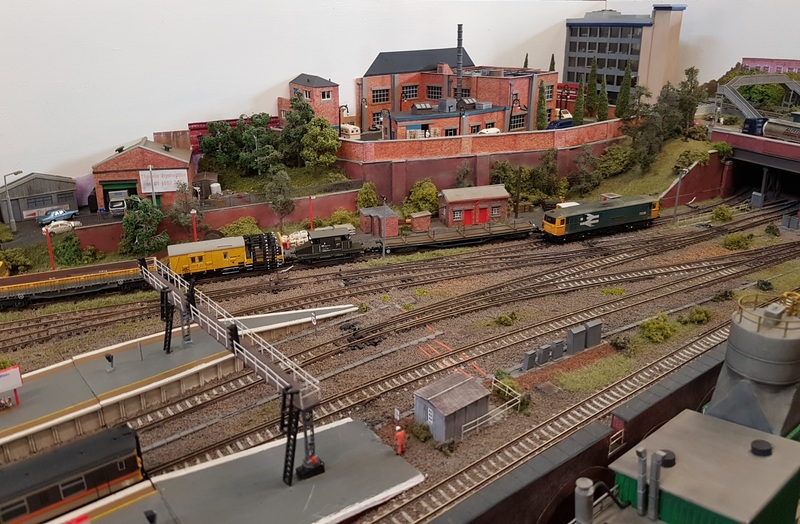 Denton Brook, in ‘O’, included a section of narrow gauge line, and some radio controlled lorries. Kirkmellington, in EM, represents a small Scottish colliery. 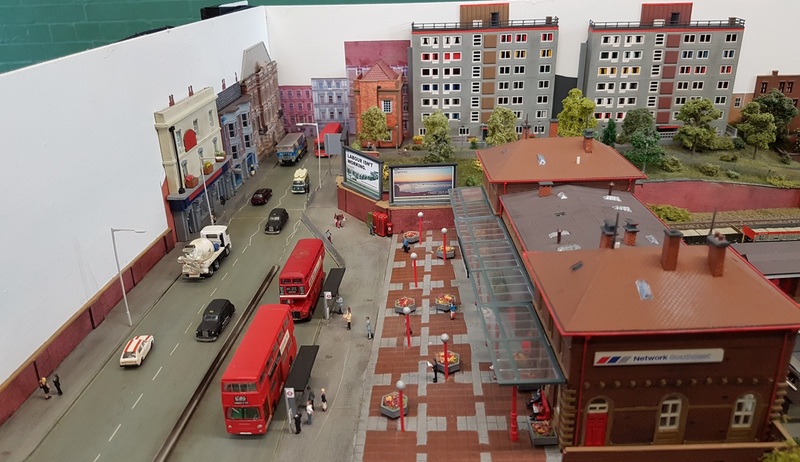 And finally Ackthorpe, in ‘OO’, is a larger establishment, based on West Yorkshire in steam days. There’s something fascinating in small industrial steam locomotives shuffling endless lines of mineral wagons…. 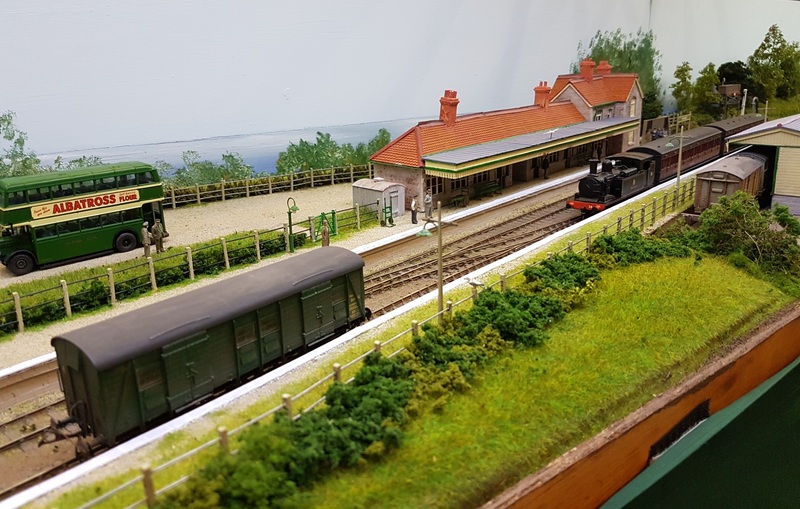 This entry was posted in Exhibitions, Inspiration, Layout design, Out and about and tagged 2mm Association, exhibition, model railway, N gauge. Bookmark the permalink. 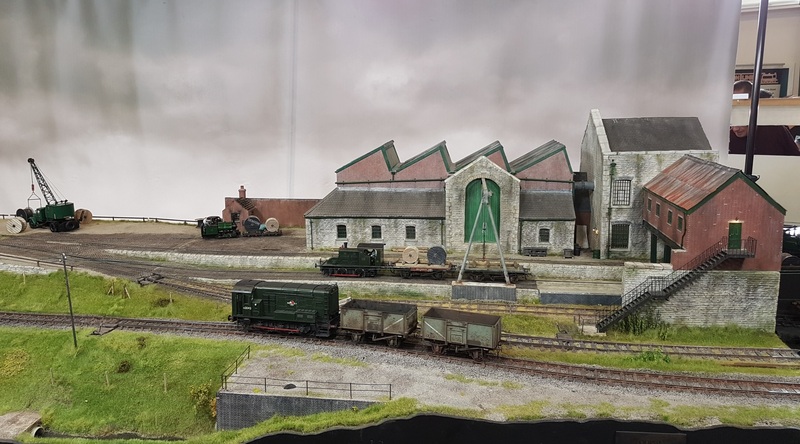 Tanners hill is a superb layout, and O dont even model in N!